Anastasia Gerali, a young woman of Greek and Cypriot background who was born and raised in South Africa, is living proof that following your dreams can have incredible results. In 2013 she resigned from her advertising job to move to Cyprus and pursue her desire to create beautiful, well-crafted sandals and accessories. The result is Love From Cyprus, a labour of love, which has attracted customers from all around the world with its timeless, classic designs. GCT recently had a chat to Anastasia about growing up Greek in South Africa, making the move to Cyprus, and her beautiful collection. Where were you born and raised, and where do you live now? I was born in Johannesburg, South Africa, where I lived until I was 18. I moved around a bit after leaving SA, between Greece and Cyprus and lived in London before finally moving to Cyprus in 2009. My father is Greek from Thessaloniki and my mother is Cypriot from Paphos. I now live in Nicosia, Cyprus’s capital, although I do make the effort to visit Greece as often as I can. I go at least once a year. What was it like growing up as a Greek in South Africa? Did you always feel a connection with your roots? Anyone who is second or third generation, will understand. Growing up in another country, Greek school and Greek dancing was a must and so was going to church. At home we only spoke Greek. Now that I live in Cyprus, I can honestly say that Greeks abroad are much more Greek and traditional in many ways because our parents are old school. We have a sense of pride for our nation, our history, our culture and traditions. We keep these close to our heart and identify with them much more than people who are born and raised in Greece and Cyprus today. Greeks abroad also have a love and respect for their community, supporting each other. It’s like an extended family. I loved growing up Greek in South Africa, I feel I got the best of both worlds and appreciate my heritage more. Tell us about Love From Cyprus? How did the idea come about? I started Love From Cyprus back in 2012, unofficially. I was always making things with my hands, and although I was working as a designer in the advertising industry, I much preferred making tangible things, like bags and hand stitched booklets. I found a small workshop to make my sandals in 2013. That was the year I quit my day job and decided it was all or nothing. I launched an online web shop, and much to my surprise (and delight) I started receiving orders from across the globe. 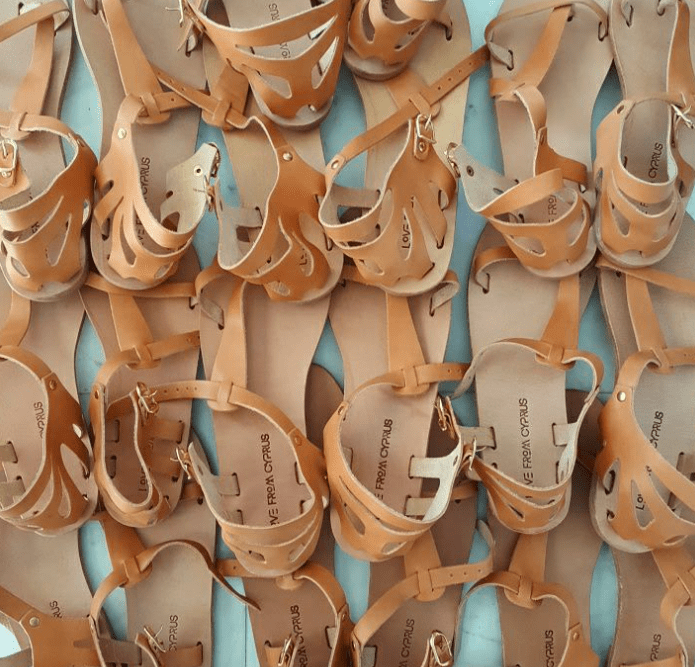 I’m ever so proud that someone in Guadeloupe is wearing sandals handcrafted from this little Mediterranean island. There was no business plan, it just grew organically. What was it like moving to Cyprus to live there? How long have you been living there now, and how does it compare to living in South Africa and London? I am always inspired by traditional crafts as I find them so beautiful. Aphrodite is my muse: the Greek goddess of love and beauty who was born on the island according to myth. I imagine her to be a strong and confident woman. Much like Cyprus, anyone who laid eyes on her fell in love with her beauty. Inspiration can be drawn from anywhere though, as long as you are looking. What makes Love From Cyprus different to other brands? I don’t compare Love From Cyprus to other brands, because it’s a lifestyle, a way of living. My lovers (as I call the Love From Cyprus customer) are women who don’t follow trends. Their style is timeless and chic and their interests are travel, love and well-crafted products. They are not fashion victims, but elegant women who follow their own style. I do not create products which are intended for one season, but products which can be worn year after year. I create products which will travel with you and love with you for years to come. What has been a highlight since establishing Love From Cyprus? There have been a few, but my favourite was handing in my resignation. It was scary, and everyone advised me against it. Sometimes I even regret it, but the truth it, if I hadn’t done it, I would never have been able to completely devote myself to starting my own brand. Who would you love to see wearing your designs? I am happy any time I see any of my lovers tag a photo on Instagram using the @lovefromcyprus tag. The best thing is seeing where they travel to with their LFC product. I’ve had some photos sent to me from places I’ve never even heard of. It’s so beautiful, I feel like a little piece of Cyprus goes with every product I send out. What are you working on at the moment? Are there plans to expand the range? I’m currently working on the new SS17 collection. Of course sandals are the staple of the brand, but there are a few other goodies also coming to Love From Cyprus which I’m looking forward to sharing. Gina is a third generation Greek Australian who grew up immersed in her Greek heritage, including the language, traditions, culture and listening to her grandparent’ mesmerising tales about life in Greece. Passionate about ensuring the Greek language is not forgotten among the younger generations, in 2002 she became a panel member on the SBS Greek radio show ‘Let’s Talk Openly.' She graduated with a Media and Communications degree from the University of Sydney and has put her lifelong passion for writing to use working in social media, public relations and advertising. 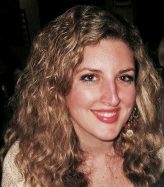 Gina now joins GCT's team as a writer. Tsiknopemti- a day Greeks consume all the meat they can! Very interesting read.It’s wonderful to hear about someone pursuing their dream and making a success of it.